I wouldn't be able to get any food if she didn't go shopping for me. My gal is prompt, knowledgeable, and she follows directions. They could make my life easier by having people show up on time. They could improve with their communication. They are very friendly and kind. It's hard when you're old and handicapped and people are unkind. They are always on time. The girls who come are very kind and they listen to me. They provide a shower service. The people they have sent have turned out to be excellent. It was necessary and for half of the year, my loved one couldn't do what she could do now. It was positive in my loved one's life. Arielle, who runs the company, came out and saw me. She is very user-friendly and she just took a lot of care and time to see what we needed. There were some wonderfully talented, caring, smart caregivers and some other ones that didn't quite have it all together. She couldn't be more helpful. She helps me with almost everything. I am happy with the gal I have. I have her for three hours Mondays, Wednesdays, and Fridays and she is just super excellent. I could not have anybody better. It allows me to do my job! There have been times when the communication could have been better, but it's since improved. I can keep it tidy, but I am very grateful because it helps my health to have the place cleaned. I like the fact that they seem to be on top of their employees. Right at Home got someone to come who was competent. All the caregivers have been really nice and eager to be helpful. I know they really value it and it is necessary to them. It makes my life easier too. They go the extra mile to find a satisfactory person. They have eyes on my mother everyday to know how she is. They show up on time and are kind. They helped us out by having personal follow ups. I like them because they cared. I like them being able to do some household work, like cleaning and shopping. Her caretaker is friendly and able to do the tasks that she requires such as monitoring her heart rate and blood pressure and household cleaning. It's great having the same person here every day for my mother. The caregivers are really wonderful. The caregivers have been there for me so that I can get out. I am the primary caregiver and I also have a business to go to. I think that it's kind of a tough situation to find people. Right now I have great people. Some people were good, and others were not. I did not want them there in the first place. I hated having someone in my house. There were several I really did not care for. They are reliable. They have helped her with transportation. They're true to their word, they're always on time, and they try very hard to work with you. They take care of my dad whenever he needs anything, and they are always there for him. I like the flexibility that if something comes up then I can call and they are very accommodating. Since my husband has a broken hip and we are both on walkers the idea to have someone to drive us to get things is wonderful. I couldn't do without them. It a great operation and everyone seems to know what they're doing. Everyone that they've sent so far has done a good job and that helps me so I can do a few other things. I have recommended them to others. They are always available. They're babysitters and I can get things done. The girls that we've gotten are very caring and we don't mind having them around at all. They've made life easier in so many ways because they do the things that we cannot do. I really like the people. My caregiver, in particular, is wonderful. They have kept my loved one happy, and therefore I am happy. She is marvelous and does everything I want. She is very clean and has a pleasant attitude. She does the cleaning, takes me shopping, and helps me put stuff away. I like that they are consistent and I like their help. They make my life easier by helping me with motivation and when I am out of energy they are there to help inspire me. They are very kind and they work to make sure someone is there as soon as possible. They were really helpful. She was willing to call my family which helped out a lot. They seem to be willing to do anything I ask. They help me with grocery shopping. They need to do more aide preparation on how to walk by the side of someone who is in recovery. This is the hardest experience I've had and I need them. I couldn't do without them. They shop for me and get my medications. I like that they are easy to communicate with, and are flexible. I have had a lot of different caregivers, and 95% of them have been good. There is an occasional caregiver who is not familiar with my mother, and then there are the regular caregivers that know her very well. They were very professional and willing to do anything that was needed. I couldn't do anything after my brain injury, and I think they helped in every conceivable way. I like the energy with which they go about their work. It has freed my wife so that we can do things together. They have been friendly. Kim, the girl we have now, has been extraordinarily helpful with the things I need assistance with. She does things I can't do. They help me get my exercises I'm supposed to do. I had two strokes and getting my exercising in is important. My overall health has become better with their help. The caregivers come on time. The caregivers could have more training. They're all very capable caregivers. The light housekeeping has been very beneficial. I have recommended them to people. The aides have been great and they have been very flexible when I have to change the schedule. They take care of some practical things for my mom so that when I see her, I can do more normal things as mother and daughter. She really likes the aide and having her there twice a week has improved my mother's mood. They are very good and trustworthy. They give companionship and have genuine concern and care for my loved one. They should've had a replacement lined up when that girl had to leave for an emergency. The services just caused more confusion. They are flexible, friendly, and easy to deal with. They come to give my mother companionship. They show up on time and are willing to even do extra things around the house. They are faithful to initiate any helpful things they can think of for my husband. I started with Right at Home, but then I hired a private nurse. When the private nurse could no longer come, we went back to Right at Home. They went and picked up my prescription for me when I couldn't. They are very understanding and patient. My caregiver gets here every day on time and really helps out, it's great! I'm glad to have someone help me with my mom. My caregiver visits while she works and gets everything done. She is very organized and is very good. She is always on time. She gets the work done. They were prompt, friendly, and had caring people. They did all the little chores I couldn't physically do any more. They are very dependable, but we have care three times a week. Two days a week we have the same caregiver and on Saturdays I have to have a different one. Having a consistent caregiver would make our life easier. Every week, I have to show them everything. They come and clean the place. They're very friendly. Every girl that comes here has been real good and outstanding. The cleaning was the biggest problem I had. I've never had a negative experience with them. They're always punctual and communicate well. She needs help and when I'm at work they can provide that help. I am satisfied with the care that my mother is getting and the caregiver is doing a good job. She is able to clean, shop, and be there to visit with my mother. Being there when I can't be there is important. I have another brother in town, too, and we both appreciate that. They're always on time and have never disappointed me. They've done what we've asked and are what we need. They were escorting me to places that I needed to go when I needed the help. They help with some housekeeping. The person that is sent is outstanding with the care she provides for my husband. Whenever the caregiver comes, my husband is in better shape all day. Most of the caregivers they have are kind. Not all of them are but most. They give me the ability to continue my daily routine while knowing my mother is taken care of. 99 percent of the time the caregivers are there. They stay with him and bring him back. There never is any problem. They seem to treat him well. They show up when they are supposed to and they are careful. We have a good working relationship. They are very easy to use. They check up on my loved one frequently. The last caregiver they sent was really good. I had them a few years ago and the quality seems to have improved. I just had carpel tunnel surgery and they do the things that I can't to at the moment, like wash my hair and things like that. So far, the quality of help is good. They seem to really try to work with me. They are pleasant to work with. My loved one doesn't think they need help, but for me this is a big move. I don't have the time and energy to put into my loved one's needs or wants. It has been a tremendous impact for me and makes a difference in making them safe. The caregivers are fantastic. My caregiver has stayed longer hours without complaining. My caregiver is here when I need help. They send me the same caregiver. Right at Home needs to have less turn over. Their caregivers need to be trained better on how to communicate with the elderly. The caregivers need to pay attention to the people they are caring for. I would tell a friend that Right at Home sends good caregivers. Right at Home makes my life easier because I don't have to do as much. Right at Home doesn't train their staff or communicate changes to me. Right at Home at least always made sure that somebody showed up, but they didn't tell me who was coming and I would be opening my door to strangers, which was very unnerving. Margaret, we are very sorry that you had a bad experience. Right at Home caregivers are carefully screened and provided with 40 hours of training over the course of their first year. Our administrative staff are instructed to communicate all shift changes to our clients well in advance to avoid any surprises, and we work hard to make sure that caregivers and clients are properly introduced before they show up for their first shift. Right at Home in Albuquerque has been under new management since March of 2018, and it is our goal to provide the best care in our industry. If you ever need excellent caregiving services, we hope you’ll give us a second look! Right at Home is great. I'm the guardian for my mother, and I need the services from Right at Home. The elderly can't do a lot of things anymore, like day to day things like bathing and getting dressed. I was very happy with the services from Right at Home. I don't have any complaints. Everyone was very good at helping me. I just feel like the services were excellent. I would tell someone about the service I have received from Right at Home and how good they are. Right at Home helps me with my light housekeeping and all kinds of things. Right at Home has sent a caregiver that I have had for over a year and she is great, but prior to this I was not as happy with the help from Right at Home. It was still better than another company that I have used. Right at Home sent caregivers that didn't seem to know what to do or how to do washing. They wanted to talk but not work. The caregiver now is much better. Right at Home has great caregivers and staff. The services helped me with health complications and made it easier to live day-to-day. I would recommend Right at Home because I like how nice the people are. Right at Home has made my life better because they are very helpful for me, but I do not like how they charge so much for their services. Right at Home could have provided more caregivers with more training and made sure the caregiver was trained and capable to provide the care needed. Right at Home made my life really frustrating because they would send caregivers that didn't know what they where doing. Right at Home provides good people. Right at Home comes in and just does stuff. The caregiver keeps my wife busy and engages her. Right at Home is honest and does what you need, and they look out for your welfare. They are prompt. Help with groceries has impacted my life significantly. For right at home a 4 star but if you get the privilege of getting a care giver by the name of Patricia V. she gets 5 stars by far. She shows compassion to her clients. She is attentive and so very helpful. This young lady is my mother in laws care giver but she knows my wife is a stage 4 cancer patient, so she also shows so much caring and compassion for my wife. My father gets care from this company. The girls that come out are awesome! It has taken my Dad several months to become comfortable with them, but that is because he does not want to ask for help! The office help has always been great about me adding hours or days....my only concern is that they will send different people out without informing us. This is not good , as my Dad is blind and will answer the door to anyone! I want him to be comfortable with his caretakers and have consistency. We did find an in-home care for my parents and It's Right at Home. Their caregiver is really good with regards to taking care of my loved ones. I must say that we found a caregiver who is a good match for my parents. Pretty much both of them are comfortable with their caregiver. From what I see, they are very nurturing and attentive and I'm very pleased about it. It's just great to find a very nice caregiver. Highly recommended! 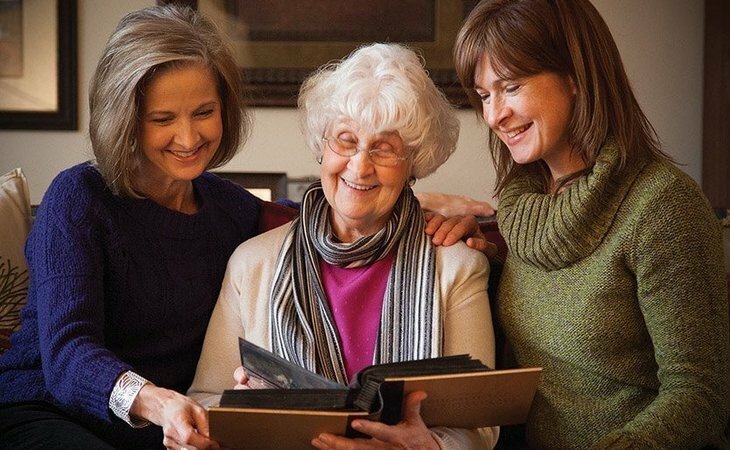 What should caregivers and potential clients know about Right at Home Albuquerque?